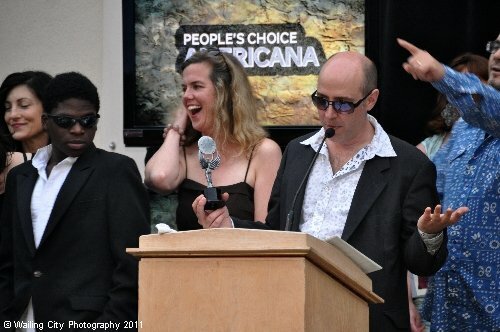 Rivergods voted ‘Best Americana Band’ at 2011 Whalie Awards! WE WON!!!! Thanks to everyone who voted! Head over to our Facebook page for more photos! The 2011 New London Whalie Awards are a week away… have YOU voted? The Rivergods are up for an award in the category of Best Americana Band, and it’s close, so we need your vote! But we’d like to EARN it… so if you haven’t heard us yet, please have a listen… and if you like what you hear, VOTE for us, or whoever else you think should win (Sinner’s Circle also nominated in the ‘Best Music Series’ category, hint hint…)! Only takes a minute… we sure do appreciate your precious time, as the race is close! Thanks, all… keep rockin’… thanks for your support! The Rivergods have been named Folk Alley’s ‘Artist of the Month’ for May 2011… a real honor from a great group of folks! Check ’em out, they support lots of great music from around the country. Blurt Online review, Rivergods live on WBLQ tonight 5/3! Hey y’all… Blurt Online (formerly Harp Magazine) has posted a review of “Signs”… check it out here. 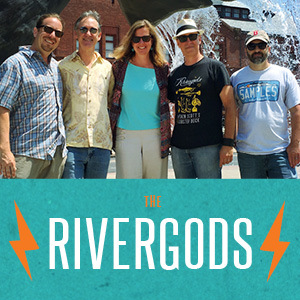 Also, the Rivergods will play an acoustic set and chat live on the air tonight, Tuesday 5/3, from 6-7 on WBLQ in Westerly, RI. Listen in here and call in at (401) 322-9091. Dig!